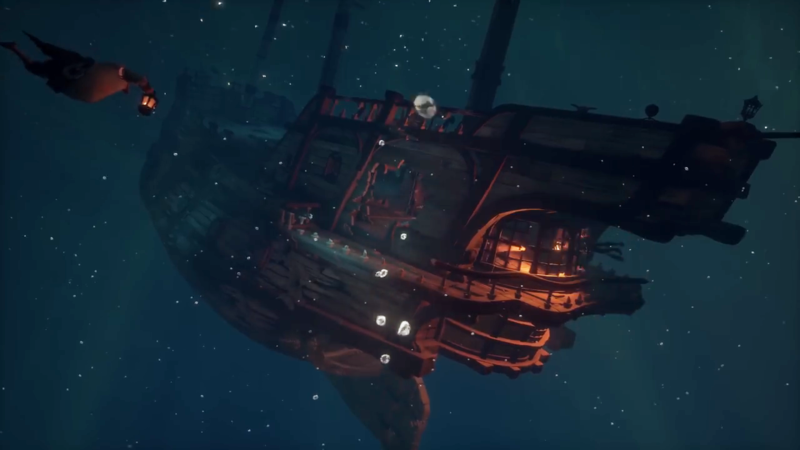 The world of Sea of Thieves offers players a lot to do in its massive ocean. Voyages act as the typical progression system in the game, giving players a choice of quests with objectives to complete in order to earn a lump of gold. But what if you don't want to follow a set path? What if you want to just go and explore the vast world on offer? Rare has added a bunch of secrets into the game to reward exploration. Every nook and cranny of an island could lead you to a hidden chest or a brand-new piece of loot, so follow your instincts and see what the Sea of Thieves has to offer. When sailing in the ocean, you can often come across shipwrecks that have a piece of loot or two to pick up. These chests, skulls, and Merchant goods can sometimes give you a big boost in gold for little effort. What a lot of players aren't aware of, however, are the shipwrecks hidden directly under the sea. If you see a swarm of Seagulls circling a particular point in the world, head towards them and anchor your ship nearby. Jump into the ocean and you will notice the rarest of rare shipwrecks under the ocean waves. These ships are usually full of rarer loot that you can't find on easier to spot shipwrecks. Just watch out for the Sharks, however. There are plenty of times when you can be looking for a clue to buried treasure or trying to capture that pesky Golden Chicken that you just randomly come across a chest in the middle of nowhere. This is more common that you think with chests and other items scattered across islands randomly. You should take time to explore an island rather then just looting it and making a quick getaway as you can never be sure of what's hiding around the next corner. 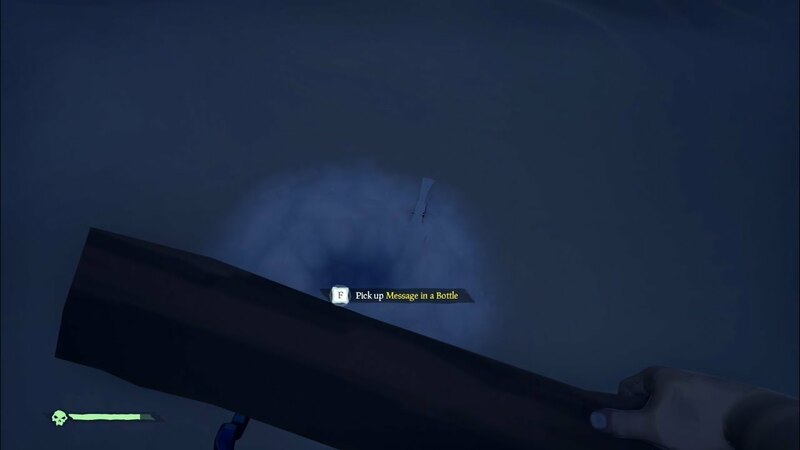 On the shores of the many islands in Sea of Thieves, you can sometimes come across bottles with messages in them. When you pick up the bottle, you gain access to quests that can sometimes include quests that would otherwise only be available for higher ranking pirates.